SAN FRANCISCO (Reuters) - Google Inc's revenue grew 15 percent in the fourth quarter but fell short of Wall Street's target on declining online ad prices and unfavorable foreign exchange rates. 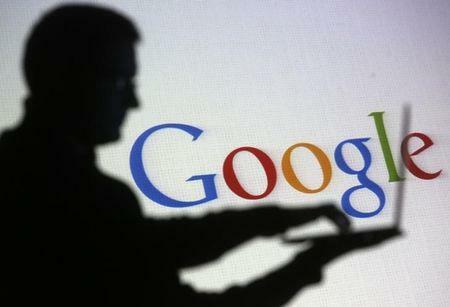 Shares of Google edged up 0.1 percent to $510.66 in extended trading after an initial dip on the news. Google's advertising revenue has come under pressure as more consumers access its online services on mobile devices such as smartphones and tablets, where ad rates are typically lower. The growing popularity of mobile devices has made No. 1 social network Facebook Inc a greater threat in the battle for advertisers. Facebook reported on Wednesday that mobile ads on its network doubled year-over-year during the fourth quarter. Google said on Thursday the average price of its online ads, or "cost per click," decreased 3 percent year-over-year in the fourth quarter, while the number of consumer clicks on its ads increased 14 percent. Some analysts had hoped for gains in cost-per-click, said BGC Partners analyst Colin Gillis, adding that the company, which gets about half of its revenue overseas, also was hurt by the strong dollar. "Business is slowing. The core is slowing. And what we're saying is, it's going to look on paper even worse as the dollar strengthens. And we are not at that point where mobile monetization is improving," he said. "The thesis that the landscape is changing and Google is missing out - I don't think it will hold to be true, but they haven't squelched it." Consolidated revenue in the three months ended Dec. 31 totaled $18.10 billion, compared to $15.71 billion in the year-ago period. Analysts polled by Thomson Reuters I/B/E/S were looking for revenue of $18.46 billon. Chief Financial Officer Patrick Pichette said in a statement that revenue grew "despite strong currency headwinds." Net income rose to $4.76 billion, or $6.91 per share, from $3.38 billion, or $4.95 per share, a year earlier. Adjusted earnings per share of $6.88 missed analysts' expectations of $7.11.